CZECHOSLOVAKIAN SEED BEADS. 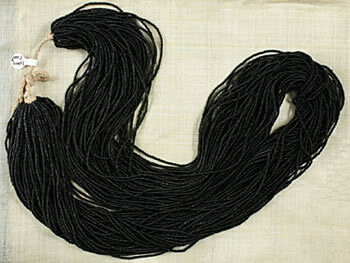 These beads are strung on hanks of 24 strands (10" Long). These are all OPAQUE COLORS. One color to a hank.